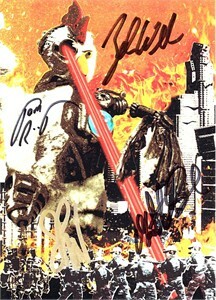 Robot Chicken 5x7 inch promo card autographed by co-creators Seth Green and Matthew Senreich, co-head writer Tom Root and writer/director Zeb Wells. 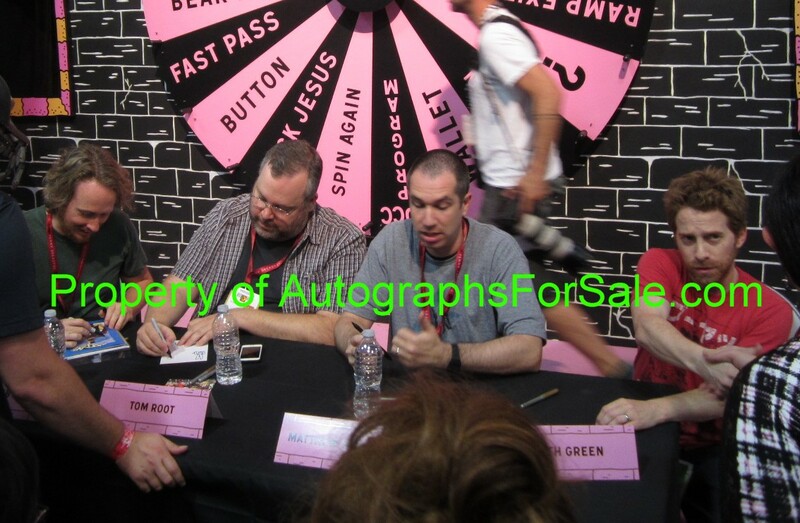 Obtained in person at limited 2014 Comic-Con signing, with photo from the signing, wristband required to attend the signing and certificate of authenticity from AutographsForSale.com. SIGNATURES MAY VARY SLIGHTLY AS WE OBTAINED MULTIPLE CARDS AT THIS SIGNING. NrMt-Mt or better condition.